"In truth, Wawrinka is now getting these wild cards on reputation alone, as data shows he's a pale shadow of the player who won three Grand Slam titles." This coming week in Cincinnati is vital for many players, as it represents their last opportunity to get competitive court time in advance of the US Open - while there is the Winston Salem Open next week, many of the top players will have chosen to rest and won't be participating then. Action actually got underway yesterday with a low-profile start to the event, with two first-round matches taking place. Kyle Edmund beat Mackenzie McDonald in facile fashion while Adrian Mannarino (who looked superb value) scraped past Marco Cecchinato, with the Italian clay-courter's record on hard court now worsening to 0-7 in main tour events, holding 68.8% of the time and breaking just 6.3%. I won't be as unkind to call Cecchinato a walking bye in these hard court events, but he's certainly the seed that every lower ranked player will hope to draw at the US Open, which starts in a fortnight. There's quite a lot of value around on day two, according to my model, although as always, I advise caution in round one betting, where player condition is frequently questionable. 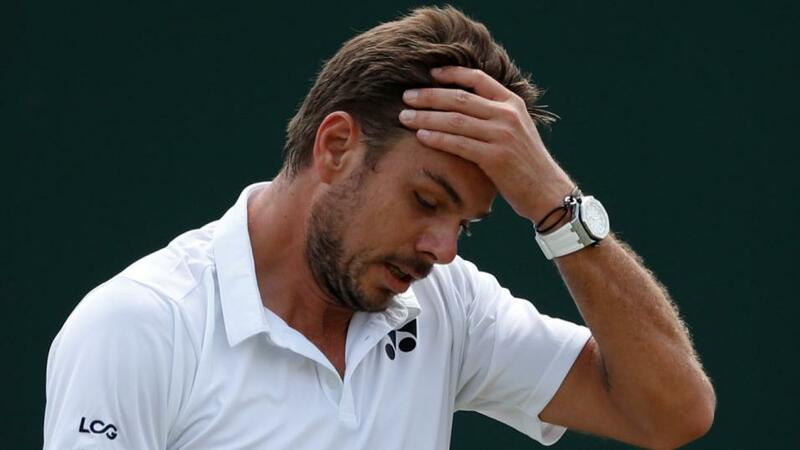 This is certainly the case for Stan Wawrinka, who rather stumbled his way through to the third round last week in Canada and has received yet another wild card here, as he attempts to recover his lost ranking after long-term injury derailed his chance to defend significant ranking points at the French Open. In truth, Wawrinka is now getting these wild cards on reputation alone, as data shows he's a pale shadow of the player who won three Grand Slam titles. This year, his numbers have been dire - particularly on return - holding 79.7% of service games and breaking opponents just 12.4% of the time, and these have dropped further to 79.1% and 10.8% in his six hard court matches. Wawrinka simply isn't winning enough return points to put pressure on his opponents serve, and a return points won percentage of around 30% this year puts him into the big-server category, without having a big serve. Today, the Swiss man faces Diego Schwartzman, whose numbers this year are a marked improvement on what Wawrinka can offer. While the diminutive Argentine has one of the worst serves on tour, it would still take a big improvement for Wawrinka to consistently challenge it. I suspect Schwartzman's quality return game will be much more of an issue for Wawrinka to cope with. Schwartzman had a good week last week in Toronto, defeating Sam Querrey and Kyle Edmund, and is priced at [1.83] for this. I make this pretty solid value and he's worth considering today. The other player I like as reasonable value is Denis Shapovalov at [2.00] against Frances Tiafoe. Being honest, it's quite rare that my model finds Shapovalov value, but he was today, with my numbers pricing him at [1.76] to get the win. It's worth noting that Shapovalov has had his best results in quick conditions, which he will definitely experience here, and he looks like a player worth keeping onside in quick conditions, and fading when court speeds are expected to be slower. My model also liked Max Marterer against Bradley Klahn, but the qualifier, Klahn, is much more accustomed to hard courts currently than Marterer, who hasn't played since the clay of Kitzbuhel. This definitely makes matters tougher for the German, who is available at [2.20] to make the second round. Last week I mentioned John Isner's slight improvement on return and the effect this has on first set tiebreak likelihoods, but in quick conditions and against another serve-orientated opponent in Sam Querrey, my numbers make a first set tiebreak a 57% chance today. The Sportsbook isn't too far out, offering slight value at 10/11, and anyone minded to bet on this side market can take advantage of the 4.6% implied value here. I also suspect Querrey is under-rated by the match winner market, at [2.42]. In other action, even in quick conditions, I expect several return-orientated match-ups, with Kei Nishikori and Andrey Rublev's match, as well as David Ferrer versus Benoit Paire, likely to offer plenty of chances of breaks and in-play swings. The latter match is fascinating, with Ferrer in rapid decline but a player who gives his all, against the enigmatic Paire, who has a high peak level but frequently implodes mentally. The more solid Ferrer is currently priced at [2.28]. Finally, we also see Novak Djokovic take to the courts, with the former world number one still just short of a ranking high enough to yield a first round bye. He's a heavy favourite against Steve Johnson, who may well give him a tough match, with conditions likely to favour the American.